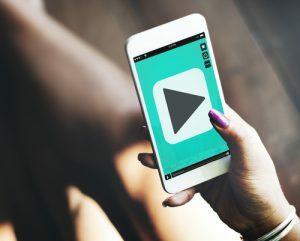 Video lets you show off your completed projects, reach a wider audience, and build a more personal connection with your potential clients. For your videos to successfully turn viewers into clients, though, they need to work with the rest of your content. Chances are, when your would-be clients are searching for videos, they’re looking to solve a problem or learn something where the visual aspect is important. Keeping that in mind when you choose video topics helps you create videos that get attention. 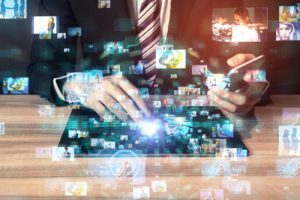 Your popular blog and social media posts are a good place to start looking for ideas, but also consider topics that are particularly well suited to video. Videos on how little-understood building features work or the benefits of modern building materials can enhance your existing content. Then try video tours of your completed projects or current job sites, interviews with satisfied clients, key company members, and owners of complementary businesses or a weekly Q&A with questions from your audience. Integrate your videos with the rest of your content to bring in leads. If you create a video about eco-friendly boutique hotel construction, post your insights on green building methods on social media to attract your followers to the video. In the video itself, you might direct viewers to a related free download at your website. To get your videos in front of your target audience, start with your website. Include an introductory video on your homepage and About page, add video tours to your online portfolio, and create a page of video testimonials. To boost blog conversions, add relevant videos to your existing blog posts. If you do weekly short videos, include them in your email newsletter. Then share your videos on Youtube and Vimeo with complete, SEO-ed titles and description to help your potential clients find them. Make short clips for Facebook, Instagram, and Houzz, and tell your followers where they can watch the rest. No matt er how much experience you have running a successful construction firm, it’s still possible to develop a few blind spots in your outlook on marketing. Just becoming aware of the common marketing pitfalls out there can help you avoid the losses they can cause. Not diversifying with care – When you find a lead generation method that works for you, it can be tempting to focus most of your resources there. Ultimately, though, each method reaches only a limited segment of your market. Conversely, trying to be everywhere at once can mean your efforts are spread so thin they hardly have an impact. The solution is to research what works in your segment of the construction industry and try one or two approaches at a time. Work on mastering the methods that show promise, but also keep looking for new methods that might be worth trying. 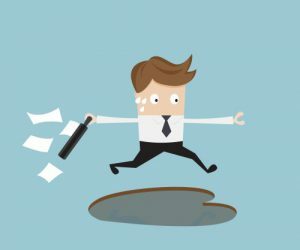 Not tracking results – Unless you know how your prospects are finding you, you can never be sure which of your marketing techniques are working and which aren’t. For every lead generation campaign you run, build in a tracking method. Use a program such as Google Analytics or Piwik for your website. Include QR codes in your print ads and key codes in your direct response mailings. For each major ad campaign, use a unique toll-free number. Not encouraging repeat clients – If your effort to attract new leads comes at the expense of your relationships with existing clients, you’re most likely losing profit overall. Take some time out of making cold calls and bidding on every new project that comes along, and invest it in building strong relationships with your existing clients. Make sure you’re the first firm they think of when they’re ready to start another project. Position yourself as a helpful expert they can turn to for advice on any topic that falls within your specialty. Stay in touch by periodically passing along useful information and offering to make valuable personal introductions when you can. Facebook’s popularity with a broad demographic makes it one of the richest sources of social media leads out there. With just a few small improvements to the way you use this platform, you can bring in more qualified construction leads with less effort. 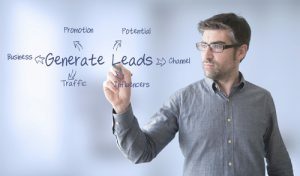 Here are three tips to help generate leads. Offer a freebie – The chances of someone calling you to schedule a consultation based on a Facebook post are slim, but social media is still an ideal place to start building relationships. To capture your fans’ email addresses, offer a free information product such as a checklist, resource list or white paper. Design your free offer with the goal of solving a specific problem for a specific type of client, such as commercial real estate investors or housing developers interested in environmental sustainability. Invest in ads – Facebook ads let you target precisely the audience you want based on demographics, interests, and behavior. If you want social media leads who enjoy sailing, have young children, and frequently organize events, you can find them. Instead of using one general ad, create multiple ads tailored to each type of client. Your prospects are more likely to respond to something that speaks directly to their needs. Invite them to take a specific action, such as downloading your free white paper or contacting you for a strategy session. Engage with your audience – Making a genuine effort to interact with your Facebook fans helps build a connection that encourages them to contact you when they’re ready to do business. Instead of bombarding your audience with promotional posts, create posts that offer real value. Keep your fans up to date on industry news, introduce them to new construction trends, offer insider tips, and direct them to useful tools. Ask open-ended questions about their challenges, goals and opinions, and invite conversation. When someone does reply, take the time to acknowledge them. Whether you decide to start with ads or just more conversations, learning what works on Facebook is one of the most effective things you can do to bring in more social media leads. 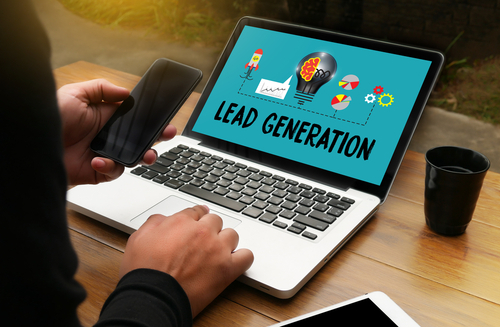 While traditional lead generation methods still have value, your ability to generate construction leads online is increasingly important for maintaining a steady flow of new projects. Taking advantage of modern technology can bring you more leads faster. Particularly if you work on high-end construction jobs, your potential clients are likely to be busy professionals researching their next project on their phone or tablet. To reach these prospects, at the very least make sure your website looks good and works correctly on most mobile devices. When your site is ready, look to methods such as opt-in text message campaigns and mobile display ads to connect with mobile users. Use QR codes to generate construction leads online from your print ads. By directing the reader to an opt-in list, you can capture an interested prospect who might otherwise have forgotten about you before they got home. For your prospects who prefer to watch and listen rather than read, create videos that help them solve their problems and reach their goals. Even simple videos of you talking to the camera expand your reach to prospects who ignore blogs. To keep things simple, discuss the same topics as you cover in your blog posts. For something more interactive, create videos on site to show your would-be clients how you work. 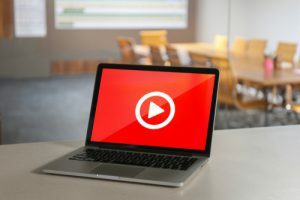 Helpful, engaging videos not only establish you as an expert, but they also build rapport by letting your prospects see and hear you in action. A weekly 20- to 30-minute podcast is another effective way to reach busy prospects. It helps you stay in touch with those who are in your target market, but not in immediate need of construction services. Just like your email list, a consistently published podcast lets you build a relationship with your prospects and educate them about what can do for them. 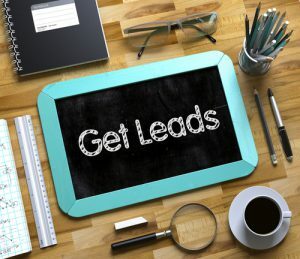 Get comfortable with technology and you’ll find you can generate construction leads online as easily as you can through the old methods you’ve been using. 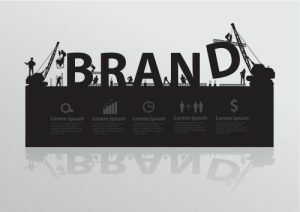 Marketing Your Construction Business Online: Avoid These Mistakes! Online marketing is a complex subject, so it’s easy to make a misstep here and there. 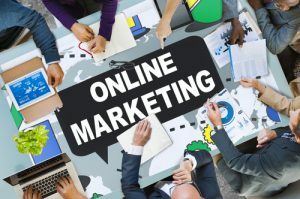 By getting familiar with online marketing best practices for construction firms, you can avoid major mistakes that waste your time and drive away business. Confusing site design – No matter where your visitors enter your site, they should be able to find essential information within a click or two. Offer clear navigation that links to your About, Services, Portfolio, and Contact pages. No lead-generating incentives – Many of your visitors will click away from your site and disappear forever unless you give them a reason to hand over their contact details. Offer case studies, an in-depth email course, helpful cheatsheets or other free, useful information in exchange for an email address. If you’re offering a free newsletter, give it a catchy title and dedicate a page to promoting it. This is one of the most essential online marketing best practices for generating leads from your website. Weak social media presence – Neglected social media accounts look unprofessional. Spreading your efforts too thin only wastes your time. To gain leads from social media, you need a consistent, involved presence. It’s better to do one or two platforms well, than five badly. Get proficient with one platform before you expand to another. Scattershot paid advertising – A banner ad here and a paid search ad there can end up being a waste of money if they’re not part of a well planned campaign based on market research. Know exactly what kind of client you’re targeting and what you want them to do when they reach your site. Stick with each campaign long enough to see results, which is usually 30 days at minimum. No cohesive plan – Your online marketing should lead your potential clients through the buying process step by step. Plan out a sales funnel that generates leads, qualifies them, then helps you identify their needs and offer an appealing proposal. Develop marketing material for each step of the process. Posted on June 27, 2017 June 30, 2017 Author David MineerCategories NewsTags internet marketing, lead generation, online marketingLeave a comment on Marketing Your Construction Business Online: Avoid These Mistakes! If you’ve been in the construction business for long, you already know a little something about generating leads. As the industry and the online economy grow, though, some less conventional ways to generate construction leads are coming into their own. Traditional lead capture pages try to sell the visitor on signing up before they receive anything. A social lead capture page gives the visitor something first. With this method, you can win your visitors’ appreciation, social media shares, and contact information. Choose a topic you know your target clients are eager to learn more about. 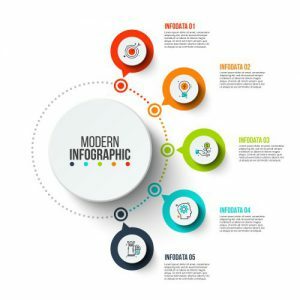 Create a dedicated page that provides truly valuable information on that topic in an easy-to-digest format such as an infographic or a short video. Make it something you yourself would want to share. To directly generate construction leads, place social media links and your call to action, such as your newsletter sign-up form, under the content. Referrals are one of the best types of leads, but they don’t always come from the obvious sources. Instead of relying on your past clients to refer leads your way, form strategic partnerships with complementary businesses. Partner with real estate agents, building services specialists such as electricians, banks specializing in real estate loans, and of course, your materials suppliers. Consider offering a referral fee for every lead that turns into a paying client. When you’re aiming to win high-budget construction projects, it takes some effort to earn your potential clients’ trust and respect. One of the best ways to do it is through speaking. Host a talk designed to answer a pressing question or provide critical information your target clients need to reach their goals. You could even make it an event such as a cocktail party or barbecue. It takes some advertising to bring in an audience, but it’s far easier to develop a good rapport and high level of trust when your potential clients can see and hear you in person. With the right design, your website can become a powerful tool for lead generation in the construction business. Your website can build interest and trust while leading visitors to contact you. Know the path you want your visitors to take from the first page they land on to the point where they contact you or provide their contact information. Most of your visitors will arrive through an internet search or social media post that brings them to an informational article or blog post. Whatever you post should make a good first impression. From there, interested visitors will seek out information on what you do and how you work. Your services page should give them a plain English description of your services along with proof of your success, such as testimonials and hard data. On your about page, include photos and, ideally, videos featuring key staff to build the kind of trust that’s a critical factor in lead generation in the construction business. At the end of your articles and blog posts, include a clear call to action inviting the reader to get in touch. Leave out distractions such as links to old posts or your social media accounts. On every page, include your contact information and mailing list signup as well as a prominent link to your contact page. On your contact page, list your phone number and email address along with directions to your office. Keep your contact form simple. A name and email address or phone number is all you need at this stage. Most of your visitors will be content to browse the free information you provide and move on. Offering an incentive can give them the extra nudge they need to hand over their contact information. That incentive could be a free consultation, a time-saving checklist, cheat sheet or template, or even a short email course to help your prospects develop their knowledge on an important topic. For more tips on effective lead generation in the construction business, contact Construction Monitor today.